BASOC showed our strength in night orienteering at the Northern NIght Cup series that concluded at Lochandinty last Wednesday evening. We had the 1st, 2nd & 4th places on the long course, 1st & 2nd on the Medium and 1st on the short. We now have the opportunity to shine again, but this time on a larger stage, the Scottish Night Championships at Darnaway on the 18th February. 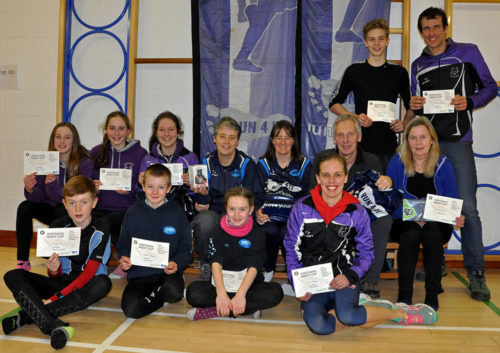 Moravian are hosting the event this year along with the Scottish Sprint Championships on the Saturday. So whilst we don't practice running around the streets at high speed we are good in the forest, in the dark. All those Tuesday nights running around in the dark must give our athletes the edge on the competition. We are relativly unique amongst clubs in having a night event every week throughout the winter. So even if you don't fancy running at large competitions join us on Tuesday evenings for a taste of the excitment that running in the dak brings.